As interest in blockchain development and cryptocurrencies soars, frauds in the space are on the rise as well. In recent months, state securities regulators have conducted several sweeps of online firms promoting cryptocurrency investments. Many of the firms, which have either shut down voluntarily or have been subject to cease and desist orders, used deceptive practices to lure investors. The crackdowns and future regulation could impact the climate for initial coin offerings (ICOs) that raise money for blockchain-powered projects. More than 40 regulators throughout North America engaged in what they called “Operation Cryptosweep,” which has resulted in “nearly 70 inquiries and investigations and 35 pending or completed enforcement actions,” according the to the North American Securities Administrators Association (NASAA), a group of state and Canadian government watchdogs, per a NASAA news conference in May. Focusing mostly on ICOs and cryptocurrency trading, Borg said the promoters “promised lucrative profits with wildly speculative assertions.” Spurred by the global interest in cryptocurrencies and blockchain technology, more than $4 billion was raised last year alone through ICOs, according to the U.S. Securities and Exchange Commission (SEC). State regulators and the Commodity Futures Trading Commission (CFTC), the federal regulator that oversees commodities trading, last week also agreed to cooperate in policing emerging financial technologies. In February, CFTC Chairman J. Christopher Giancarlo told the Senate Banking Committee he favored a registration process for distributed ledger and cryptocurrency startups. One online operation, called Leverageico.com, sold digital currencies called “leverage tokens” and promised investors it would make money through a “risk-free trading platform” using “automated arbitrage trading bots.” Other sites would display fake videos or unauthorized endorsements from celebrities like Jennifer Aniston and Supreme Court Justice Ruth Bader Ginsburg. Leverageico.com operators claimed that the site raised more than a half million dollars and recruited more than 5,000 users. It was subject to a cease and desist order by the Alabama Securities Commission on May 2, although its website appeared to be still operational and selling tokens at the time of this writing. There was no contact information listed on the site. What do these crackdowns mean for institutional and venture capital investors and companies funding blockchain applications? Little impact is seen on the venture capital business, since these private parties perform extensive due diligence in vetting companies. Although not every ICO or trading platform is fraudulent, the legitimate operations are transparent and focused on specific blockchain applications. Yet for firms raising money for blockchain projects through U.S.-based ICOs, the impact could be significant. Coin offerings raised more than three times the capital for blockchain startups than venture capital firms, reported Crunchbase News, totaling $4.5 billion for the past 14 months through February. Will federal regulation and aggressive state crackdowns slow down the ICO capital flow for blockchain developers? While it’s too early to tell — it’s uncertain what shape U.S. regulation will take — it may push ICO activity outside of the U.S. But as more regulatory attention is focused on registering ICOs in a similar way to initial stock offerings, that is, as securities, coin offerings will come under greater scrutiny. A surge in ICOs last year led the People’s Bank of China to ban the offerings, claiming they disrupted financial stability. 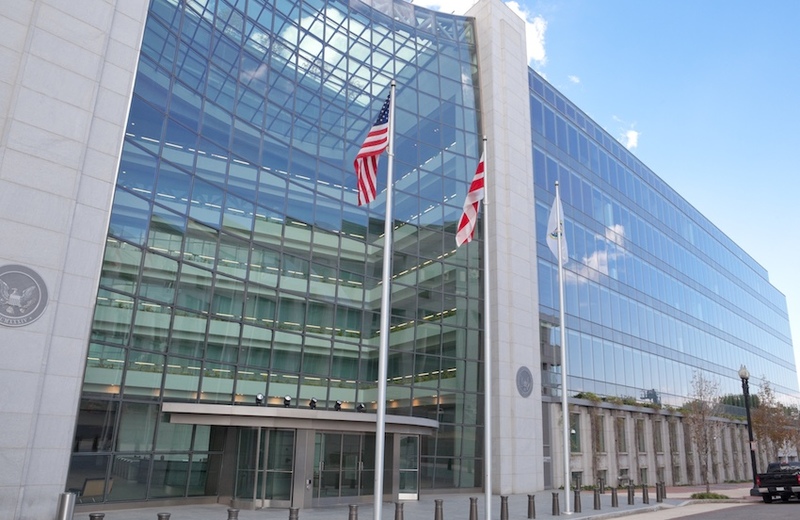 Following suit, the SEC later that year issued bulletins, investor alerts and warnings about ICOs, noting it will “continue to police this area vigorously and recommend enforcement actions against those that conduct initial coin offerings in violation of the federal securities laws,” according to SEC Chairman Jay Clayton.